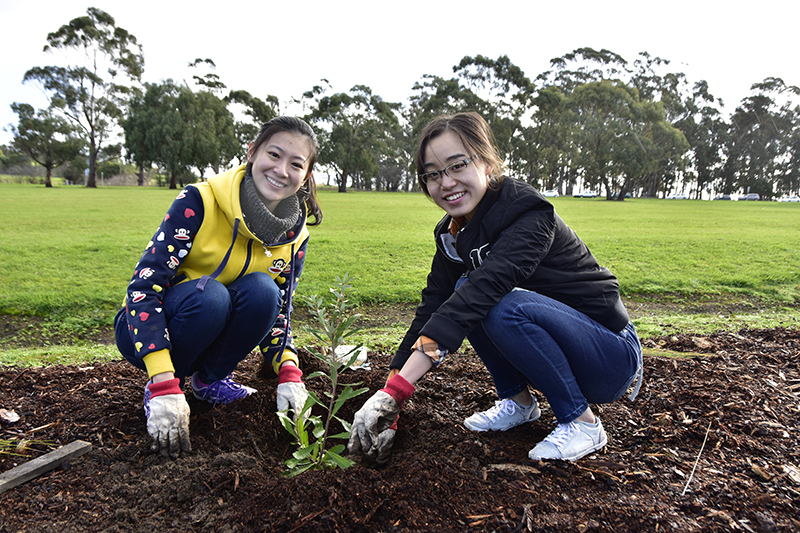 Thousands of people around Australia will plant trees and shrubs as part of National Tree Day on Sunday, 30 July 2017. This celebration of nature creates an opportunity for the community to make a positive difference to their local area and reap the benefits of getting outside and active in the winter months. 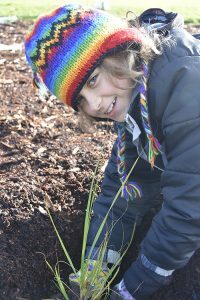 Kingborough Council has been hosting a National Tree Day community planting event for over ten years. The rewards of this community effort can be seen in past sites such as the entrance to Kingston on the new by-pass, Dru Point reserve, the Whitewater creek track and many others where attractive native plants provide pleasant views and habitat for native wildlife. This year we will be planting at Coffee Creek in Huntingfield. Coffee Creek is a very important landscape link and provides critical habitats to a number of animals, including the endangered Forty-Spotted Pardalote. The planting will complement the recent stormwater works and will help to improve the health of the area. Participants will be treated to a guided walk down the creek, through the areas where the Forty Spotted Pardalotes nest. Council is grateful for the essential support provided by the Boronia District Girl Guides and the Blackmans Bay Scout Group, who will greet and guide all participants through the day. The site is 250m along the Coffee Creek Track, which is situated off Patriarch Drive, Huntingfield and we ask anyone wishing to lend a hand to please remember to wear sturdy shoes and suitable clothing. The Lions Club of Kingborough returns to the event again to keep everyone nourished with a free BBQ and gloves and planting equipment will be provided for all volunteers. The Mayor of Kingborough, Cr Steve Wass said the event is a fantastic opportunity for the community to come together, meet new people and be part of creating a natural haven, which can be cherished for years to come. National Tree Day is an initiative of Planet Ark who has been promoting the many health benefits of spending time in nature. Research shows that time spent in nature creates positive impacts on our health, wellbeing and development. National Tree Day started in 1996 and since then more than three million people have planted 23 million seedlings.